Quality Where it Counts – premium components like Ballistic Advantage barrels, Aero Uppers, and AT3 handguards. Don’t settle for “bargain uppers” with unknown components. Ballistic Advantage Modern Series barrels feature precision-machined 4150 CMV steel, durable QPQ (Nitride) coating, and a Sub-MOA accuracy guarantee. Unique lightweight, slim design with Keymod attachment points. Rock-solid 6061 aircraft aluminum handguard that withstands the harshest treatment. 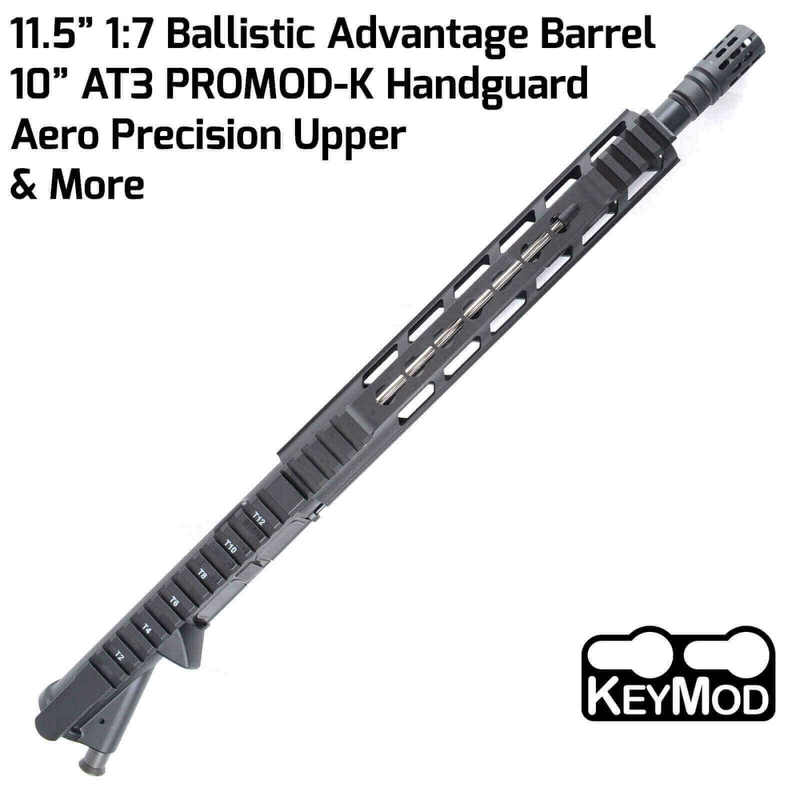 One 5-slot Keymod-to-Picatinny rail section included. But the quality doesn’t stop at the barrel. From the industry-leading Aero Upper to the precision machined AT3 handguard and muzzle device, this upper assembly offers quality without compromises. AT3 complete uppers are assembled with strict quality controls, test-fired before shipment, and carefully packaged for delivery to the customer. All AT3 complete uppers offer a Lifetime Warranty – if you ever have an issue, let us know, and we’ll make it right. It’s that simple.